Seimas Social Democrat group prefect Andrius Palionis states he believes that the Social Democrats should not withdraw from the coalition. According to a survey done by him, this opinion is held by another 12 of 19 members of his group. On Thursday afternoon the head of the Seimas Social Democrats Andrius Palionis interviewed all 19 members of his Seimas group by phone, asking what position they hold regarding continued work in the ruling coalition with the Lithuanian Farmer and Greens Union (LVŽS). "In essence I wanted to know their position on continuing work in the coalition," A. Palionis told Delfi. His survey revealed that of the 17 Social Democrats working in Seimas, 12 support remaining in the coalition, two believe withdrawing is necessary and another three state that if the decision to withdraw was made, it would require very serious arguments. Since the Seimas Social Democrat group also contains two members of the Labour Party, when their responses are summed up, the results are as follows – 13 group members support remaining in the coalition, 3 suggest withdrawing and 3 would want to first hear serious motivating arguments. Delfi reminds that on Wednesday, after the LVŽS management meeting, the "Farmers" set an ultimatum for the rebellious Social Democrats, who have been speaking of a potential withdrawal in autumn. The "Farmers" declared that they will wait for the Social Democrat position up to September 10. 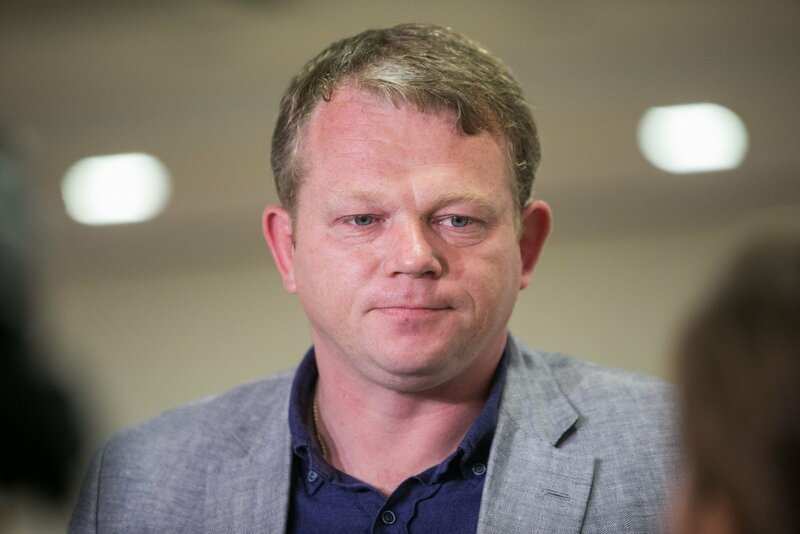 Seimas Speaker Viktoras Pranckietis of the LVŽS did not dismiss the possibility that even after withdrawing from the coalition, the Social Democrats may continue working with the "Farmers". He also mentioned that the Social Democrats intent on continuing to work in the majority may even form their own group. When asked by Delfi on Thursday whether a risk of Social Democrat group members splintering off to make their own group exist, A. Palionis responded that he had not raised this question with his colleagues. "While speaking with my group members, in essence I wanted to know their position. Next week we will be organising a group meeting. Thinking thus, the party branches are now expressing their opinion, but they are making decisions based more on emotion, rather than looking at arguments, considering the party's goals and a perception of what would happen if we withdrew. The group meeting, I believe, will be more along the lines of modelling the situation," he said. According to the politician, the group will need to discuss the situations that would occur after choosing to remain in the coalition or choosing to leave, whether a minority government would work, whether a new coalition would form and what the role of the Social Democrats from the opposition could be, whether more of the people's trust could be earned that way. "I believe that after the meeting the group will inform the party branches of its opinion so that they would have more argumented positions to deliberate on, so that it would not be just an emotional understanding because most branches are currently only forming their opinion from the public sphere," the Seimas Social Democrat group prefect said. A. Palionis refused to reveal what Social Democrat group member supports which position. As for his own views, he responded that, "My personal position is to remain in the coalition." Could this opinion lead to tensions between Palionis and Social Democrat Party chairman Gintautas Paluckas, whose personal opinion is quite the opposite? "I believe that first of all there should be no ambitions and preconceived stances to leave with eyes shut. We are all adults and intelligent people. Especially considering that the group members were not only elected by our party members. They received trust from another part of the nation which isn't a part of the party. Thus I believe that we need to sit down and talk, consider not only what benefits us more, but also how to implement the party programme that we promised during the Seimas elections," A. Palionis stated. On Wednesday Social Democrat chairman G. Paluckas told BNS that, "Musings that the Social Democrats are not unified, that the group works separately from the party or that the party does not listen to the group, is completely baseless and unmeasured." "When decisions are made [regarding the coalition], they will be absolutely upheld by all members of the party and the group. We will all adhere to the decisions made equally. I understand that there is an interest among our coalition partners or even the opposition to fracture us, to say that this group is not linked with its party and that it is possible to work in some sort of political methods I cannot comprehend," he stressed at the time. The Social Democrats have announced a survey of their branches regarding continued work in the coalition with the "Farmers". This was done after the LVŽS signed an agreement with the Conservatives over forestry reform. Three Social Democrat branches of 60 have already stated that the party should withdraw from the coalition, while one spoke against such an action.